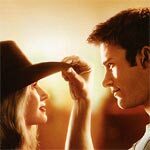 The Longest Ride is just another typical Nicholas Sparks adaptation and frankly, I can at least say it’s better than The Best of Me though doesn’t hold a candle to The Notebook, and not many of Sparks’ book-to-films have. Still, the two leads weren’t terrible and it’s nice seeing Alan Alda with a bit more material than usual. Not Fade Away certainly had potential with a respectable and hopefully on-the-rise young cast, a great actor in James Gandolfini and a wonderful writer in David Chase, but the story itself was dull, the main character, despite the best attempts by John Magaro, was an annoying brat, plot points going nowhere and an ending that not only felt tacked on but was obnoxious and pretentious as all hell.